With buy-to-let investors in the UK chastened by falling property prices and stricter lending criteria, is it possible to find a good rental property abroad? We look at two scenarios in Turkey, an exciting emerging market with excellent prospects that buck the national trend. Spared the worst effects of the global financial crisis, the property market in the largest Turkish cities where economic activity is concentrated is buoyant due to a burgeoning urban population and rapid economic growth. With forecasts of 5-6% growth for 2010 and ratings agency Standard & Poor recently upgrading the country’s investment rating, prospects for the Turkish property market look very positive. The majority of Turkish households still rent their home and there is a well-documented shortage of quality housing in the country’s main centre Istanbul, which has over 12 million people. This is driving the growth of modern residential developments targeting the middle-classes in areas such as Beylikduzu, 30 km west of the city centre. “With prices from £40,000 for a studio apartment and a buoyant rental market of young professionals and families, annual rental returns of 5-6% make this area an attractive proposition for foreign buyers,” says Dominic Whiting, editor of Buying in Turkey guide www.buyingin.co.uk. The country’s rapidly developing tourist industry, which is set to attract over 26 million visitors to the country, provides another option for those looking to earn a rental return, but also to enjoy some time in their property. Official figures indicate the start of a recovery in the real estate sector with home sales up 25% in 2009 compared to a year earlier. New air-routes from across the UK, a rapidly improving infrastructure and its position outside the Eurozone, will further promote Turkey as a top destination for British property buyers this summer. Stunning award winning 2 and 3 bedroom apartments found in the unspoilt mountains of the Akkaya region. Prices start from £61,200 and only two apartments remain, ready for holiday use or rental from May. On the edge of this quiet resort backed by mountains, spacious two bedroom apartments and duplexes with large balconies overlooking a large pool. Excellent sea views. From £54,950. 2/3 bedroom duplex apartment in Ovacik, near famous Oludeniz lagoon. Fully furnished to a very high standard and with over £5,000 confirmed rentals for 2010 season. £75,000. Spacious 3 bedroom bungalows in Akkaya Valley in The Hills development from only £143,000 – £171,000. These properties are set in extremely generous plots, each benefiting for a kidney shaped pool and landscaped gardens. Excellent value properties. A warm Mediterranean climate, great value for money, and fantastic beaches and scenery have tipped Turkey as one of the top holiday destinations for sun-starved Brits this year. If your idea of the prefect break is lazing by the pool in your very own villa, the country has some fantastic properties at tempting, non-Euro prices too. Overlooking the Blue-flag awarded beach at Sarigerme and the new Dalaman Hilton Golf & Spa Resort, the Ocean View Villas have a contemporary design, 3-5 bedrooms and private swimming pools, with prices from £152,000-£245,000. The small resort of Kalkan has some stunning villas, generally with amazing sea views, though the 2-hour drive to Dalaman airport puts off some buyers. Prices are relatively high thanks to the area’s cache, with a four-bedroom villa with pool costing from £180,000-over £250,000. For discerning golfers the Lavender Villas are set in beautiful countryside less than 5 miles from the nearest golf course; and with another dozen courses within 20 minutes drive at Belek. The family resort of Side, with its beaches, Roman ruins, shops and restaurants is only 6 miles away. Built of stone in a traditional Mediterranean style with large gardens and swimming pools, the three and four bedroom villas cost from £186,900. For villa-buyers on a tighter budget, the Melito Villas in the Aegean resort of Kusadasi are 4 bedroom homes built around a large communal swimming pool. A great beach is only 400 metres away. The villas are priced at £75,000. Alternatively, the 3 bedroom Dolphin Villas in the quiet resort of Akbuk near Didim are available from £95,000. International marina operator Camper & Nicholson have announced the 2010 opening of a new 400-berth marina in the Turkish Aegean resort of Cesme. Located in the shadow of an imposing Genoese fort that dominates the sleepy seaside town, the new marina development will include a sophisticated waterfront arcade, designed by Atelier Xavier Bohl, creators of the world-famous Port Grimaud in St Tropez. ”The marina should breathe new life into the town’s waterfront, while promoting Cesme to a wider international audience of holidaymakers and property buyers,” says Dominic Whiting, editor of the Buying in Turkey guide ( www.buyingin.co.uk ). The opening of the Cesme marina comes hot on the heels of the inauguration of the $70 million, 600-berth D-Marin marina in the Turkish resort of Didim in May, 2009. There is also speculation that work on a long-stalled marina in Dalaman will commence next year. These new marinas are part of the Turkish government’s ambitious strategy to increase marina capacity along the country’s beautiful Aegean and Mediterranean coastline from 25,000 berths to over 50,000 berths by the year 2023. “The ultimate aim is to double the country’s share of the lucrative Mediterranean yacht tourism market from its present 5 percent to 10 percent,” explains Dominic Whiting, editor of the Buying in Turkey guide ( www.buyingin.co.uk ). Located outside the eurozone, Turkey is attracting boat owners with its lower mooring fees and cheaper cost of living, as well as its beautiful unspoilt coastline – factors that have been attracting foreign property buyers for some time. Indeed, property close to Turkish marinas is available at a fraction of what it would cost in France, Spain or Portugal. For example, 2 bedroom apartments in Altinkum, close to the D-Marin Didim marina start from only £45,000. Or a fully furnished 3-bedroom apartment on a small complex with swimming pool just a 5 minute’s stroll from the new Cesme marina for £87,750. It is still possible to find a bargain within 15 minute’s drive of the country’s most upmarket yachting resort, Gocek, with three-bedroom villas in the beautiful Akkaya valley from £138,000. 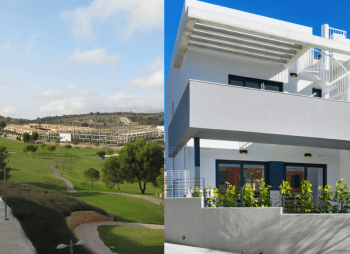 A small, exclusive development of 2 bedroom apartments and duplex’s situated within beautiful natural surroundings including orange groves, cotton and sunflower fields. These apartments offer stunning sea views set on the hillside and just a short walk from Sarigerme. Only 15km from Dalaman International Airport these properties are in a prime location. Prices start from £90,000 for more information contact the Buying In Turkey Collection on 0845 351 3551 or visit www.buyingin.co.uk. With the credit crunch still affecting wallets, holidaymakers are keen to find the best value deals. According to tour operators, bargain hunters are favouring pocket-friendly destinations such as Turkey, with budget airlines introducing new services to cater for the growing demand. Turkey is one of Britain’s most popular holiday destinations for 2010, according to The Co-operative Travel, which has reported an 82 per cent increase in bookings to the Turkish airport of Dalaman compared to the same period last year. Meanwhile, Thomas Cook is adding 20 new Turkish hotels this year to keep up with growing demand. Turkey is increasingly popular with independent traveller too. Search results released by internet travel website Skyscanner show that Dalaman is the 5th most popular airport searched for from UK airports in 2010. Growing demand has seen the introduction of many new flights for the 2010 season. Budget airline easyJet has announced five new services to the Turkish resorts of Bodrum and Dalaman from Bristol, Stansted and Gatwick, to add to their existing Istanbul and Dalaman routes. Turkish budget carrier Pegasus Airlines will fly 17 routes from the UK, including new services from London to Bodrum and Dalaman; Manchester to Antalya and Dalaman, and Birmingham to Antalya and Bodrum. Jet2.com has announced low cost flights to Dalaman from East Midlands Airport and Thomas Cook has added weekly flights from Exeter to Dalaman to its existing services. More British tourists and easier accessibility from the UK will have a profound effect on the Turkish property market, with demand for property expected to rise significantly according to Dominic Whiting, editor of the Buying in Turkey guide. “More budget flight options, particularly from regional airports, and the growing number of British tourists holidaying in Turkey is excellent news for the property sector and promises to add to the country’s appeal with home buyers, boost market activity and speed up the post-credit crunch recovery,” says Whiting. 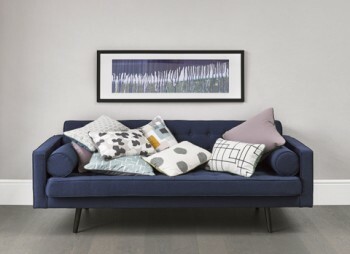 For more information contact Buying In Turkey Collection on 0845 351 3551 or visit www.buyingin.co.uk. Stunning award winning detached 3 bedroom villas, in Akkaya Valley in The Hills development from only £152,000 to £156,000. Contact Buying In Turkey Collection on 0845 351 3551 or visit www.buyingin.co.uk for more information. Looking for the perfect place for a family holiday in 2010? Turkey may just be it. Now Britain’s Mediterranean escape of choice, over 2 million British holidaymakers visited last year – many of them families. So why is Turkey so popular, and which are the best areas to buy a dream holiday property in the sun? Undoubtedly, the main draw for most sun-starved Brits is the country’s glorious weather, with sunshine and blue skies guaranteed throughout the long summer season – which stretches from May to October. The weather at Easter and the summer and autumn half-term holidays may actually be better for younger kids than the hottest months of July and August when temperature are well into the 30’s, though even in the height of summer most coastal area have a cooling breeze. The next ingredient for a happy holiday – a sandy beach – can be found all along the Turkish coast. Some of the best beaches are Sarigerme in Dalaman, Oludeniz near Fethiye, Patara near Kalkan and the beaches around Belek and Side in Antalya province. But there are many other smaller coves and sandy stretches to lay out your beach towel and build sand castles. For older children there are water sports like windsurfing, sailing, water skiing and parasailing available in most resorts and tours can be arranged to the historic sites and ruins that are scattered along the Turkish coast. Another important draw for families is how child-friendly Turkey is. Wherever you go, from shops to restaurants, expect the children to be doted on and spoilt. It is also an extremely safe country for you and the kids, with low crime-rates compared to the UK. Reached in 3-4 hours flying time from UK airports, there is no long-haul nightmare getting there and back. The choice of flights is good with charter operators like Thompson and Thomas Cook and no-thrills airlines Easyjet, who fly from Gatwich to Dalaman, Pegasus and Flyglobespan, who operate from Scottish airports. Sitting outside the eurozone makes Turkey an excellent value holiday destination. Even before the credit crunch Turkish property was significantly cheaper than traditional Mediterranean favourites like Spain. With the global slow-down prices for resale property have dropped in the main resorts and developers are offering some excellent deals. Most new complexes in Turkey have been designed specifically with families in mind and have great facilities such as large swimming pools and tennis courts to keep the kids entertained for hours. It is also likely they will find other English-speaking friends to play with, leaving the adults free to relax. Located on the Aegean coast close to Izmir airport, Kusadasi is popular with families because there is so much to do in the area. There are great beaches, water parks and the historic ruins of Efesus. The nearby Dilek National Park is perfect for family picnics on the beach. The Melito Villas are large 4 bedroom semi-detached villas within easy walking distance of the beach. There’s a huge communal pool visible from all the houses, so you can keep an eye on the kids while relaxing on your terrace. Prices from £71,500, with mortgages available. Unspoilt Dalaman has plenty to keep the family busy including boat trips, nature tours, mud baths, white-water rafting and the Blue Flag beach at Sarigerme, which is one of the few beaches in Turkey with life guards. For the adults, an 18-hole golf course is opening in 2010 at the Hilton Dalaman Golf and Spa Resort. The international airport has plenty of flights from the UK and the kids can be playing in the pool within an hour of touch down. Summer 2009 was never set to be a big year for the number of Brits holidaying abroad, with much talk of hard-hit families opting for UK breaks and shelving the idea of foreign sun, at least until the recession started to abate. But in reality, things were somewhat different. Undoubtedly, many cash-strapped British holidaymakers did stay at home; but foreign rental property owners also experienced a successful summer according to a market survey by leading overseas lettings company, Holiday-Rentals. “While the travel industry in general struggles, demand for rentals is going from strength to strength as travellers realise they can rent a whole home for less per head than a hotel and stretch their budget even further by taking advantage of self-catering facilities,” commented Holiday-Rentals Managing Director Courtney Wylie. Good value for money is not the only reason that people are increasingly looking to the private rental sector for holiday properties; rentals also offer greater flexibility, allowing travellers to book flights and accommodation separately themselves, often online. One country that has emerged as a prime holiday destination for those looking for a rental property is Turkey. Popular with families and boasting a warm Mediterranean climate, perfect for those wanting a dose of sunshine, 2009 has been a very successful year for the country’s holiday rental market, with holidaylettings.co.uk reporting a 70% increase in the number of enquiries about the country in 2009. This popularity has been backed up by statistics released by the Turkish Ministry of Culture & Tourism, which show that over 24 million tourists visited Turkey in January to October 2009, an increase of 1.96% on the same period in the year before. The number of British visitors grew to 2.3 million, an impressive increase of 9.5% within a year. A key draw for British holidaymakers is that Turkey sits outside of the Eurozone and with the pound currently so weak against the Euro, this is a great benefit to those looking to make their money stretch further. This official optimism is backed up by new flight routes being announced to the country. Among the airlines with new routes to Turkey is low-cost operator Pegasus Airlines which recently announced several new flights for 2010, with the company set to run 17 routes between Turkey and the UK, including London to Istanbul, Bodrum and Dalaman and Manchester to Antalya and Dalaman. This is good news for those renting and buying property in Turkey, as improved accessibility increases interest in a destination and will in turn increase demand for private holiday rentals. Indeed, holidaylettings.co.uk reported that enquiries for Turkey outstripped those for perennial favourites Florida and Portugal in September and October. Akkaya Gardens, just 15 minutes from Dalaman, is an award-winning development that offers prime rental opportunities for those looking to invest. The complex has a large communal pool, indoor and outdoor pools, fitness centre, sauna and sweeping views of the surrounding mountains and picturesque lakes. Due for completion by the end 2009, ready for the 2010 rental season, two bedroom, two bathroom apartments are available from £54,500. Nearby villas are available from £136,000. For more details contact the Buying In Turkey Collection on 0845 351 3551 or visit www.buyingin.co.uk. What will 2010 hold for Turkey? The property market along the Turkish coast has certainly cooled since the heady pre-credit crunch days when excitement about EU entry, rocketing property values and new Turkish mortgages fuelled an unprecedented rush of British buyers to take the plunge into what was enthusiastically promoted by overseas estate agents as the ‘next big thing’. But crisis or no financial crisis, Turkey’s pleasant Mediterranean climate, unspoilt scenery and low cost of living – factors which have attracted over 74,000 foreign property buyers, including more than 22,000 Britons – look set to begin drawing British property buyers in ever increasing numbers again in 2010. Turkey has managed to weather the global slow-down fairly well. Due to strict regulations, the country’s banking sector has been spared the direct effects of the credit crunch and despite a major slowdown, the Turkish economy looks set to move out of recession next year. Being outside the Eurozone, Turkish property represents excellent value for money, particularly as prices in most of the large resorts have dropped significantly since their peak in 2007. The Turkish tourist industry has experienced remarkable growth over the past few years, particularly when compared with other Mediterranean destinations such as Spain. The country received more than 24 million international tourists in 2009 with year-on-year figures up despite the economic gloom. A record 2.1 million British tourists visited in the first 9 months of the year, making Turkey one of the top holiday destinations for Britons. Official forecasts are upbeat, with tourist arrivals expected to top 30 million in 2010 according to Ertugrul Gunay, the Turkish Culture and Tourism minister. Investment is still being channelled into the development of the coastal areas, albeit at a slower pace, as part of government plans for Turkey to become one of the world’s top five tourist destinations by 2023. On the ground, this means new airports, roads, golf courses, marinas and hotels, which will widen the country’s appeal for property buyers, as well as tourists. The 600-berth Didim Marina, completed by Dogus Holdings in May 2009, is a good example, with new marinas opening in Cesme and Dalaman in the next few years. Improving air access from the UK will be another important factor promoting the Turkish property market in 2010. Defying global economic turbulence, low-cost Turkish carrier Pegasus Airlines reported a doubling of passengers in 2009, with 17 flights from the UK to Turkey next year, including new direct services from London to Bodrum and Dalaman; Manchester to Antalya and Dalaman, and Birmingham to Antalya and Bodrum. Easyjet will be continuing its recently launched flights to Dalaman and Bodrum from London and Manchester next year. While Jet2.com has announced low cost seat-only flights to Dalaman from the airline’s new base at East Midlands Airport and Thomas Cook has added weekly flights from Exeter to Dalaman to its existing services. Dalaman is an area to watch in 2010 as it has avoided the over-development of the larger Turkish resorts. It has some wonderful scenery, great beaches and lots of activities, like white-water rafting, hot-springs, yachting and walking, which give it a broad appeal. The Dalaman Hilton Golf & Spa Resort, with its 18-hole course, is opening in the summer. Easyjet (www.easyjet.com) and Pegasus ( www.flypgs.com ) fly into Dalaman’s large international airport from Gatwick and Manchester; with Flyglobespan (www.flyglobespan.com) operating weekly flights from Aberdeen, Edinburgh and Glasgow. Curbanoglu, (Tel 0845 355 5625, www.curbanoglu.co.uk ) have apartments from £61,200 and villas and luxury bungalows with private pools from £136,000 in the beautiful rural area of Akkaya, which overlooks a lake and unspoilt mountains just 15 minutes from Dalaman town and the international airport. The unspoilt valley is being turned into an exclusive residential and holiday community with communal facilities including a stream-side restaurant and bar, indoor and outdoor pools, fitness centre, sauna, tennis courts – all spread over 100,000 acres of beautiful woodland and meadows. According to Europe´s second largest travel operator, Thomas Cook, the hottest ticket this summer is a holiday in Turkey and it´s no surprise why thousands of Britons (as well as US President Barack Obama) are expected to visit this non-euro destination in 2009. Turkey is the ideal family holiday location offering numerous beach resorts, good quality accommodation, water sports and land based activities and a lower cost of cost living compared to west European resorts not to mention the reliable climate. Tourist arrivals to Turkey have risen steadily over the past few years as the country has opened up and accessibility has improved. Recent figures from the Ministry of Culture and Tourism reported a 12% rise in overseas visitors totalling 26.3 million (of which 2.17 million were from Britain and over 32% entering via the tourism capital of Turkey, Antalya) in 2008 compared to 2007 and a further 20% increase in the number of British tourists is anticipated in 2009 according to an undersecretary of the Tourism Ministry. Recognising the importance of tourism to the burgeoning Turkish economy longer term strategies have also been announced including the ambitious aims for 2023 by the Culture and Tourism Ministry which include the creation of seven tourist development corridors and nine cultural and tourism zones in order to attract 40 million visitors in addition to an airport, eleven cruise ports, ten tourism cities and nine marinas to be completed by 2013. One of the key appeals of a Turkish holiday this year is affordability. The country is not part of the euro zone and hence relatively unaffected by the pound´s poor performance against the euro; the lira has reportedly fallen one third against the dollar and one fifth against the pound. Known as a value for money destination, Turkish accommodation remains affordable and the cost of living low. There are numerous discounted package holidays now available especially for those willing to book at the last minute. And access to tourism hot spots such as Antalya on the Mediterranean coast or the Bodrum Peninsula on the Aegean coast has never been easier with direct flights offered daily from the UK by both scheduled and charter services. Due to increased demand seat-only travel operator Avro will be offering additional charter flights to Antalya during the summer season starting at the end of May. Further a field agreement has been reached for direct flights to commence from Canada to Turkey and Turkish flag carrier, Turkish Airlines, will introduce new routes this season to New York, Singapore, Johannesburg and Seoul. This increased access to the US in particular is much welcomed in light of the recent "Unlimited Turkey" tourism campaign operating Stateside. These positive tourism indicators for 2009 also spell good news for those with second properties in Turkey. Some 73,000 foreign nationals (mainly Britons, Germans and Greeks) own properties in the country predominantly along the Mediterranean and Aegean coastlines and interest in owning bricks and mortar be it for retirement, a holiday home or buy to let investment continues to be strong. Those with existing properties available to rent in key tourism locations such as Antalya are set to be benefit this year as holiday villa rentals become increasing popular. The mixture of quality accommodation in top locations as well as the flexibility of your own rented villa is of high appeal to families or those looking for a more bespoke vacation. One such example of a high quality development in Turkey which is due for completion in July 2009 and available to purchase as a buy to let property for the peak summer season are the Caretta Villas in Belek from Aston Lloyd. 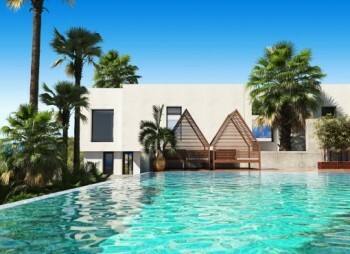 Comprising 87 modern Mediterranean style 2 and 3 bedroom villas situated just 10 minutes from the nearest beach the detached villas will include terraces on all floors, fitted cupboards in all bedrooms, a private parking space and optional private swimming pool. The site itself enjoys complete privacy due to its restricted access, offers two communal swimming pools, two tennis courts and seated landscaped gardens. The new build villas will be available from €160,000 / £143,577 through Aston Lloyd. For more information about buying in Turkey or Caretta Villas please call 0845 260 0646 or visit www.astonlloyd.co.uk. If you are looking for an ideal place to buy a property for family holidays in the sun, Turkey ticks all the right boxes. Knocking Spain off the top spot, the Mediterranean country was the UK’s package destination of choice in 2008, according to figures from the Turkish Ministry of Tourism and Culture and the Association of British Travel Agents, with over 1 million British visitors, many of them families. So why is Turkey so popular and which are the best areas for families to buy their own a property in the sun? The biggest draw for most sun-starved Brits is the country’s sunshine and blue skies, with great weather guaranteed throughout the long summer. “The conditions at Easter and the summer and winter half-term holidays are also good, and may actually be better for younger kids than the hottest months of July and August,” says Dominic Whiting, editor of the Buying in Turkey guide. The other vital holiday ingredient for kids, a sandy beach, can be found all along the Turkish Mediterranean coast with many long, sandy beaches that are gently sloping and perfect for hours of sand castle building and paddling. For older kids there are plenty of activities to keep them busy. Water sports like windsurfing, sailing, water skiing and parasailing are available and tours can be arranged to the many historic sites and ruins that dot the Turkish coast. Another important plus is how child-friendly Turkey is. Quite simply, Turks adore kids. Wherever you go expect the children to be doted on and spoilt. It is also an extremely safe country and crime-rates are very low compared to the UK. “Crucially for families, Turkey is only a 3.5 hour flight from the UK so no long-haul nightmare getting there and back. There are plenty of budget flight options during the season from charter operators like Thompson and Thomas Cook and no-thrills airlines easyJet, who fly from Gatwick to Dalaman, and Flyglobespan, who operate from Scottish airports,” comments Dominic Whiting, editor of the Buying in Turkey guide. Many new developments in Turkey have been designed with families in mind and have great facilities such as large swimming pools and tennis courts to keep the kids entertained for hours. It is also likely they will find other English-speaking friends to play with, leaving the adults free to relax. The Aegean resort of Kusadasi is very popular with families because there is so much to do. There are beaches and several large water parks, or for something more educational, the ruins of Roman Efesus are a great introduction to ancient history. Izmir airport is only 45 minutes away. The Melito Villas are spacious 4 bedroom detached houses on a complex with a huge pool and within walking distance of the beach. Ideal for families, the villas costs from £66,500. Dalaman has plenty to keep the family entertained including boat trips, nature tours, mud baths, white-water rafting trips and the gorgeous Blue Flag beach at Sarigerme, which is one of the few in Turkey with life guards. For the adults, an 18-hole golf course is opening in 2009 as part of the Hilton Dalaman Golf and Spa Resort. The international airport has plenty of flights from the UK and the kids can be playing in the pool within an hour of landing. 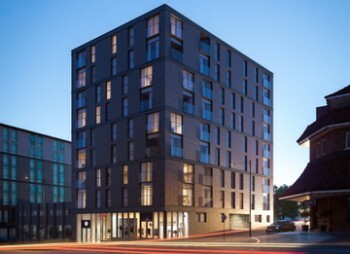 Akkaya Gardens is a family-friendly development of 2 bedroom apartments starting from £46,200 with excellent facilities including a huge swimming pool, cafe and a fitness centre. Nearby, the spacious 3 bedroom Olive Grove villas have their own pool and cost from £149,000. The kids will love exploring the magical ruins of ancient Side and playing on the sand dunes. Access to the old town is on a tractor train in season making the resort feel like a huge historical theme park. The beaches are gently sloping and ideal for kids, or for some excitement there are white water rafting trips and horse riding in the Sorgum forest. The Aqua Villas have great communal facilities and are close to the beach and shops with prices starting from £115,900. To find out more about the property in this article contact the Buying in Turkey Collection, Tel 0845 3513551, www.buyingin.co.uk.